Just in time for the tech fest that first launched Highlight into the limelight, before the alleged SoLoMo fizzle out, the location-based social network is prepping for SXSW with a slew of updates including photos and events. Highlight’s latest update is version 1.5, the app’s most significant update yet, largely thanks to the introduction of photos. Users can tag photos and the people they’re with based on their current location. To add some background information to the photos, captions can be added. Davison says that the purpose of photos is to share moments with people around you, and that in doing so Highlight is taking an approach that emphasizes “communication” rather than “publishing.” The photos aren’t intended for just anyone that happens to step into the same location where the photos were tagged in. Photos are only limited to select users within the vicinity. The other important update is “Events.” Users are able to discover new events nearby, but they’ll have to be within a certain distance away. There’s a time constraint as well, which adds urgency and a hint of the self-destruct flair (since the event will disappear after the time limit is up) a la Snapchat. If you happen to be passing by an event at the right time, you’ll be alerted and can join in on your own accord. 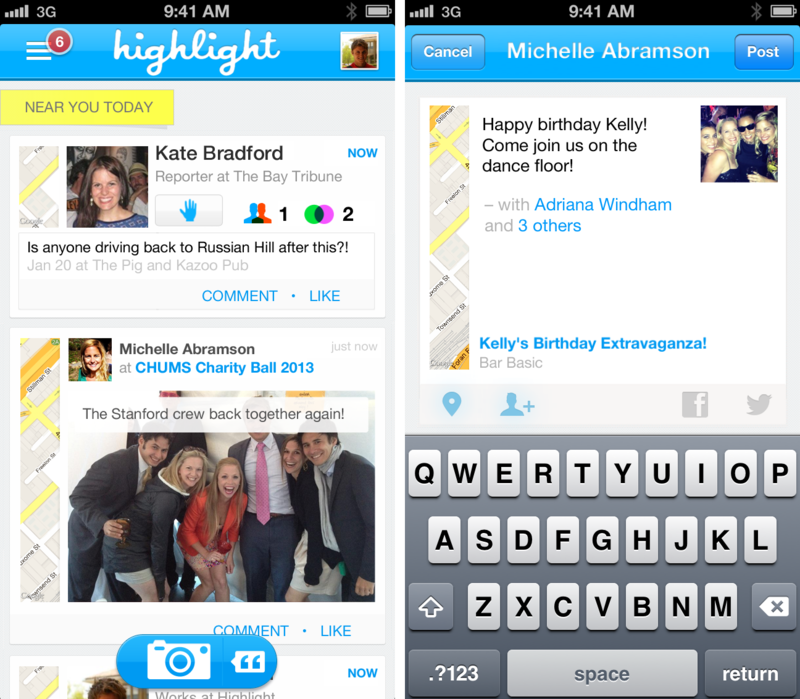 It’s certainly a big step forward for Highlight, which has stalled since it’s launch. There’s nothing like a little SXSW magic to regain some interest – the trick is sustaining it after the show.